 Editor’s note: we’re glad to share another post by Brazos Fellow Jess Schurz. I am not sure I ever learned how to be lonely. By that, I do not mean that I’ve never experienced it. In fact, quite the opposite: loneliness loitered like a shadow for much of my time in college. Somewhat ironically, this seems to be a prevalent issue, at least in the West. Social isolation, in the words of Professor James K.A. Smith, is a “quiet epidemic,” what social scientist Robert Putnam named Bowling Alone. Poet Franz Wright laments this sentiment in his poem “Flight,” written to his absentee father: “Since you left me at eight I have always been lonely / star-far from the person right next to me.” Although written about something foreign (I hope) to most of us, this ‘star-far-ness’ seems to be a familiar feeling to many. In my own experience, this response to social isolation, which elevated togetherness, was both problematic and oversimplified, and came with many unintended consequences. Loneliness becomes a moral failure of sorts; people who are lonely are simply not persistent enough, we say. Another issue that arises is the instrumentalization of relationships, using others simply to reach a state of non-isolation. Ultimately, this approach taught me that there is no place for loneliness. As a result, I did not learn how to be lonely. In other words, I did not recognize that loneliness can be just as edifying as rich friendship. To my great relief, our study of the desert fathers posed an alternative to these issues. In our Brazos Fellows course, we began our unit on Christianity and the Body by studying the rise of monasticism. We first looked at the life of Anthony. Known as the ‘renewer’ of extreme asceticism, Anthony’s life began in a Coptic-speaking village along the Nile in Egypt. After hearing a gospel reading on renouncing possessions, Anthony gave away his land and belongings and moved into the desert. After several years of solitary life and prayer, Anthony moved even deeper into the desert, removing himself from all human community. His rejection of all material indulgences attracted hundreds of followers and continues to call people into lives of deep prayer and reverence today. Those who followed Anthony into the desert—the desert fathers and mothers—recognized the bodily and the spiritual as inseparable entities. Taming the passions in the physical life was a means of sanctification–habits of fasting, prayer, and tempering desire enabled greater spiritual refinement. To go out into the desert was not simply removing from civic life but entering into warfare with the demons. Monks were said to continually meet the devil face to face. Most importantly, the purpose in all ascetic practices was simply this: greater intimacy with Christ. Reading the desert fathers and mothers, I was struck by how starkly their enterprise contrasts my reaction to loneliness, which oscillated between two extremes. The first was to flee from loneliness with great haste, through whatever means of distraction were available and appropriate. The second was carrying loneliness like a millstone on my back, all the while fostering the great “pride of despair.” The actions of the ascetics confront both of these. The fathers and mothers went into the desert with the intent of sanctification. Rather than seeking distraction, they went into the desert knowingly. They faced the beast, so to speak. Furthermore, their many sacrifices and renouncements were all for the purpose of drawing near to God. Their isolation was not a burden to be endured, nor a reason for despair, but to take delight in their Abba Father. I am more convinced that times of loneliness are inevitable. Just as there are feasts and fasts, morning and night, I will have times of connection and isolation. The “star-far-ness” of social isolation, when it comes, can seem like a desert of sorts. It can feel like meeting the devil face to face in the unique temptations and doubts that only inundate when I feel alone. Loneliness, however, is not simply precursory to friendship, but can be a time of rich growth, if I so choose. I am learning that perhaps my mission should not be to alleviate loneliness, but to learn how to be lonely when those times assuredly come. The sanctity of loneliness also helps me to re-orient my understanding of relationships. It reminds me that I am not at all entitled to community. When I do find myself in times of rich relationships, it is a gift and nothing else. I think to one of my favorite passages in all of literature, found at the end of The Fellowship of the Ring. Frodo, bearer of the great and terrible Ring of Power, breaks off from the eight others in the fellowship. Tolkien writes: “He spoke aloud to himself. ‘I will do now what I must,’ he said. ‘This at least is plain: the evil of the Ring … must leave them before it does more harm. I will go alone. '” And so Frodo goes down the hill to the boats. Like the desert fathers, he left what he cherished and entered into a place of evil, with the intent of pursuing a greater good. When Sam sees Frodo paddling away, he leaps into the water, despite not knowing how to swim, crying “’Coming, Mr. Frodo! Coming!’” Frodo pleads with him to leave. “’It would be the death of you to come with me, Sam,’ said Frodo … ‘I must go at once. It’s the only way.’ ‘Of course it is,’ answered Sam. ‘But not alone. I’m coming too.’” Sam joins Frodo in the boat and the journey the treacherous road to Mordor together. Though Frodo was willing to go alone, Sam comes alongside. Sam’s accompaniment is gift.